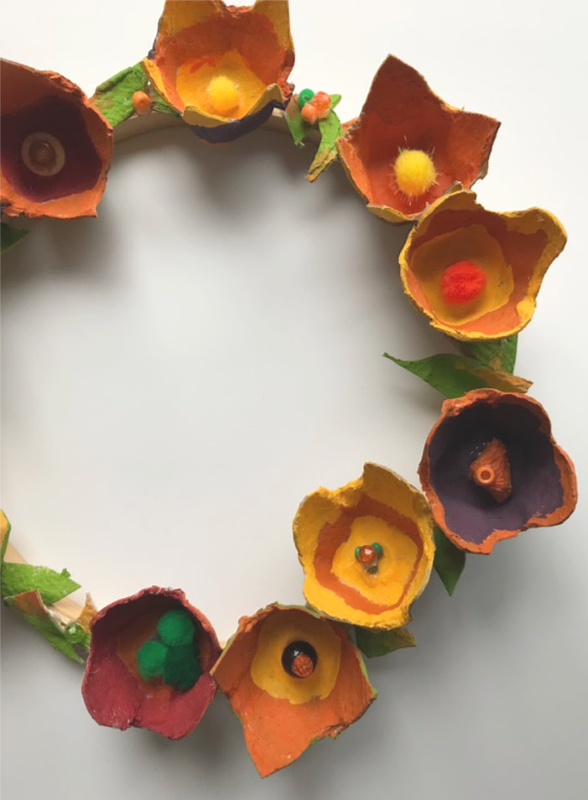 In the spring, we created the most beautiful springtime egg carton wreath. 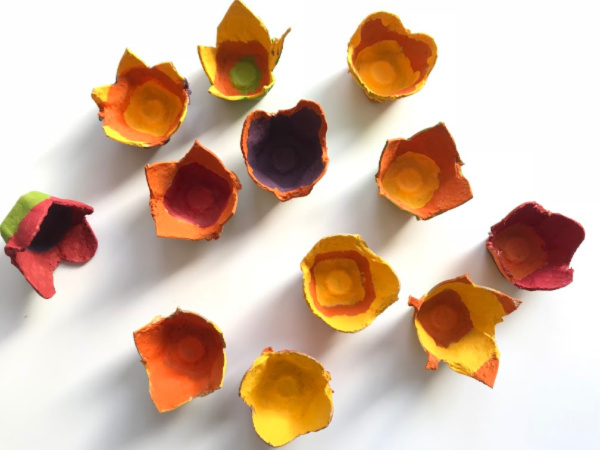 We transformed a regular old egg carton into colourful spring flowers. 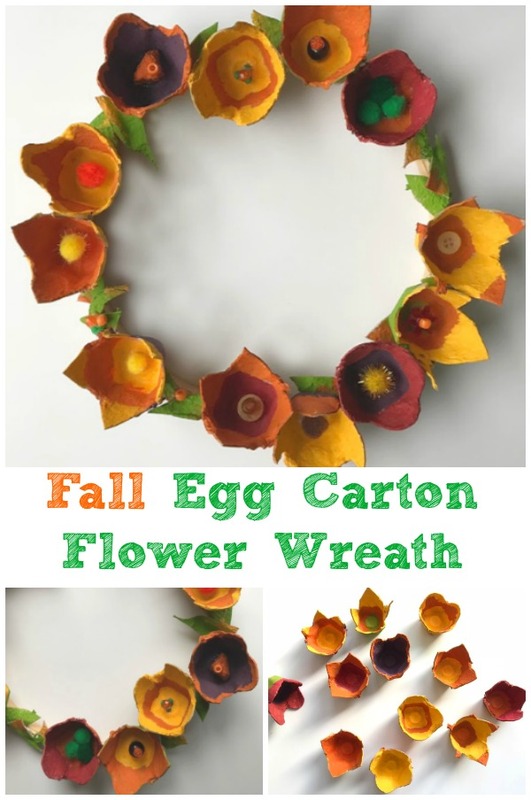 So, when the fall arrived we thought it would be fun to try making a fall egg carton flower wreath. 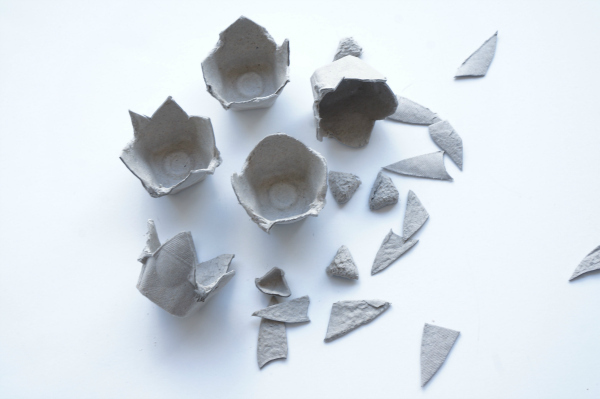 We gathered up our craft supplies – from the recycling bin. 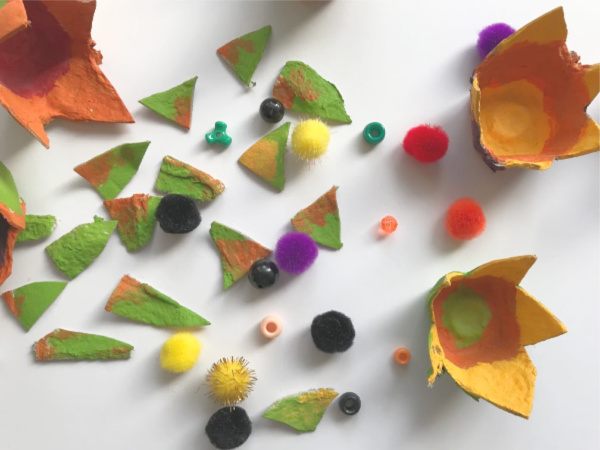 With a few fall acrylic paints, some pom poms and buttons and beads we set to work creating. This time around we used a smaller embroidery hoop for our wreath. You can use whatever size you like. 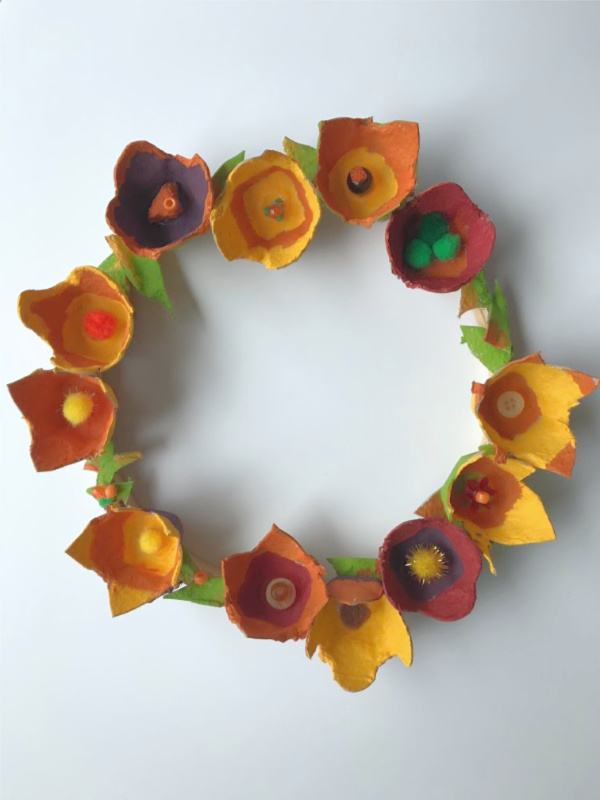 An egg carton makes 12 flowers and endless leaves, which was perfect to cover our 8 inch hoop. Begin by using the scissors to take apart the egg carton. 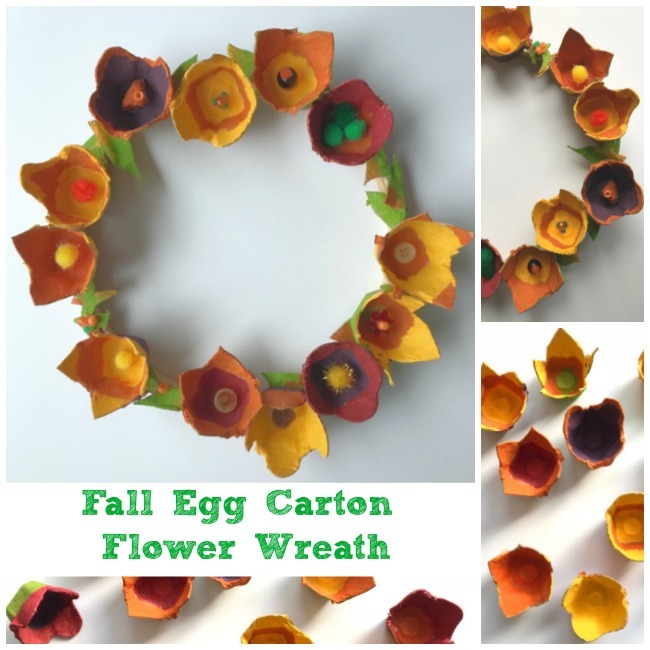 Cut each section that holds an egg into a flower. Cut a variety of flowers – pointy flowers and rounded flowers. Then cut the scrap pieces into leaves. Once you have all of the flowers and leaves start painting. We used a wide range of colours for our flowers. 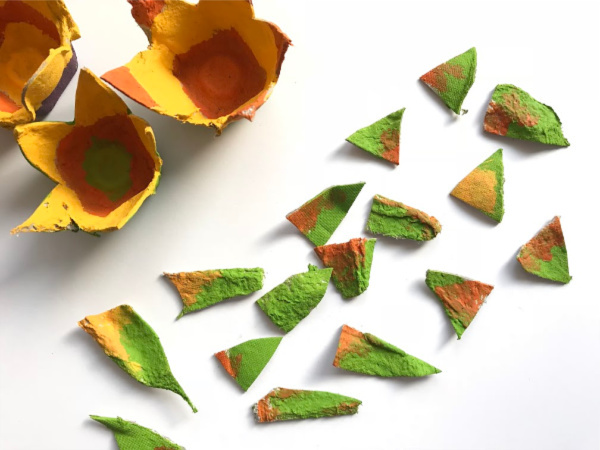 We painted fall leaves…green with little touches of yellow and orange. 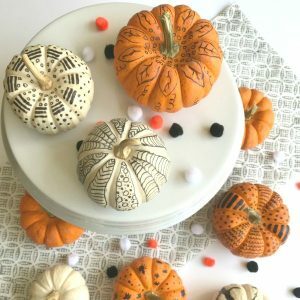 When the leaves and flowers were dried, it was time to embellish them. Use the beads, buttons and pom poms to add a little sparkle to the centre of the flowers. When all of our flowers and leaves are dry it was time to put together the wreath. Use the glue gun to adhere the flowers to the embroidery hoop. 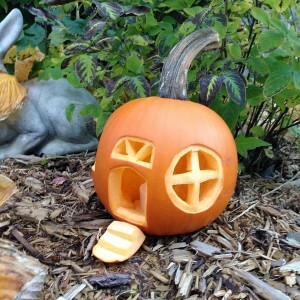 Be sure to plan out the wreath before using the glue, because once you use the glue it is hard to make any changes. After all the flowers are in place it’s time to stick the leaves on the wreath. The leaves will help finish off the piece. 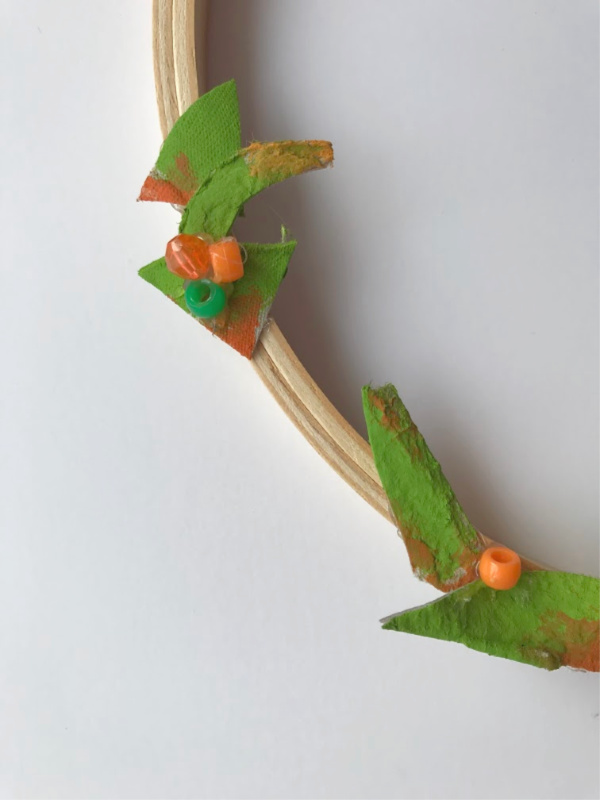 We glued a few little beads onto the leaves…a little more sparkle and detail. When the wreath is complete, it is time to hang it up. You can wrap a piece of string around the hoop to hang the wreath on a hook. We have a hook on our front door, that we use for all of our seasonal wreaths. Alternately, simply hang the wreath from a wall hook. I love the wall hooks that are repositionable. We love how our fall wreath turned out. The colours are beautiful and the pom poms are a fun addition. The best thing is the egg carton flowers won’t die, like real flowers, and we can use the wreath for many years to come. LOOKING FOR MORE WAYS TO CONNECT WITH YOUR KIDS? COME JOIN KITCHEN COUNTER CHRONICLES ON FACEBOOK AND PINTEREST.